THE REGENT PANEL DOOR: Long, sleek horizontal panels with no vertical breaks. Creating a simple, long-line effect, this design adds elegance and class to almost any style of home. 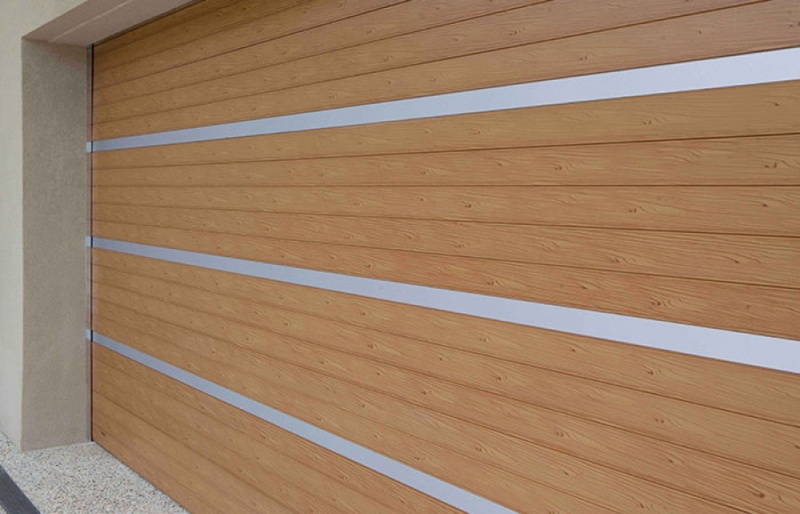 The Regent suits simple panel combinations, making the design of the door the key feature. The Regent features a 2mm Aluminium Frame, uniquely designed with double-sided channel for superior quality and extra strength. Available in a range of powder coated colours and timber like colours. The Regent is available with Aluminium Timber look Slat Inserts, Mini-Orb Inserts, and Honeycomb Inserts.